Instantly after Nokia 7210 is launched on the market, an absolutely analogue model - Nokia 6610 appears. Judge yourself, even the dimensions are the same, the weight of Nokia 6610 is 1 gram more - 84 grams. The features are identical, even the minors are the similar, only additional applications and design differ. That is why we are not going to tell about the main features, rather talk about the most interesting moments. Those who'd like to know more about specifications can read about them in this review. Nokia changes the positioning of its handsets, the 7. series as well as the 8. are rather fashion models now, not the innovative ones. 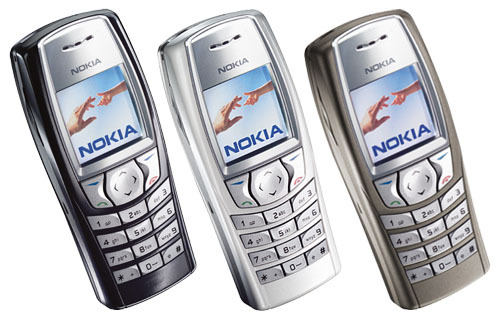 At the same time, the 6. series remains a classical one (in the terms of Nokia). So, Nokia 6610 is positioned as a substitute to Nokia 6510. All the comparisons, made to this model, are not for it, of course. We won't compare these models in this article. It's obvious that almost all features of 6610 are preferable, but it doesn't have a voice dial, dictaphone and wallet. Probably, the limits of the accessible memory are one of the reasons of such changes. Let's turn to it. 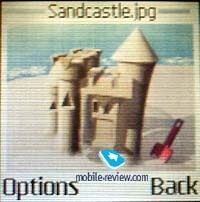 Besides the pre-default games, pictures and applications one can download about 300-350Kb of data to the phone of the standard kit, firstly, Java games and applications. The same is for 7210. 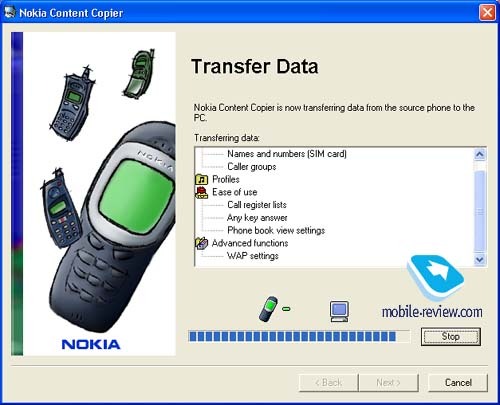 The loading can be made via Wap or Nokia Club, the latter is required a club idenfication and it is accessible not in all countries (for example, you can't accept it in Russia). The loading process is rather simple, you input address, from which you'd like to download an application, choose it and than the phone saves it in the corresponding folder. You can use both GPRS or usual data transmission, it doesn't matter. All applications for 7210 work perfectly with 6610, unfortunately, there are not many of such applications today, the phone sales only begin. 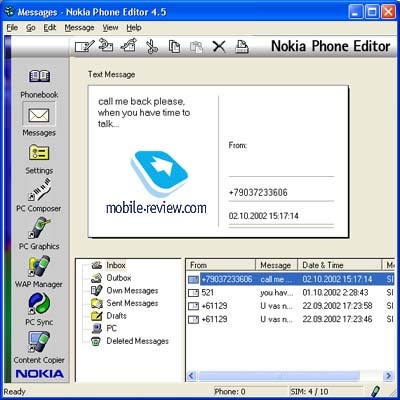 Few applications, which were made for Nokia 6310i, are compatible with Nokia 6610, but they use only part of the screen because the displays are of different size. 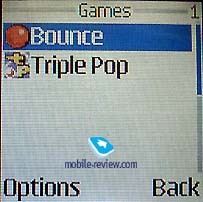 Two games are included in the standard kit of Nokia 6610 - Bounce and TripplePop. Earlier it was announced that such game as Puzzle Chess would have been, but evidently, it was changed to TripplePop. 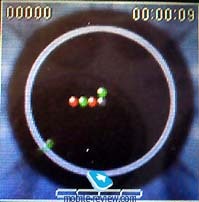 To say the truth games are really captivated, and they are pleasing to play. 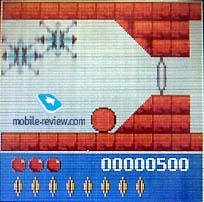 You can download the new games not only with a help of Club Nokia but also in the Software Market. Now this function is not activated yet, but it is expected that it would be already in November. Converter II which is used to convert units is pre-default here too. Portfolio manager is also available. 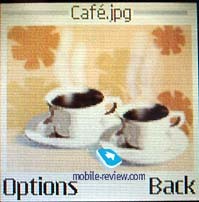 Naturally, we can't miss such menu item as Gallery, where all images and ringing tones are kept. 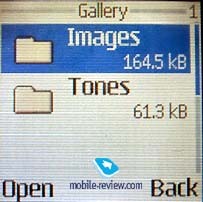 The pictures occupy 165Kb of memory space and ringing tones - 62Kb in the standard kit. There are only 10 pictures and 20 ringing tones in the phone. 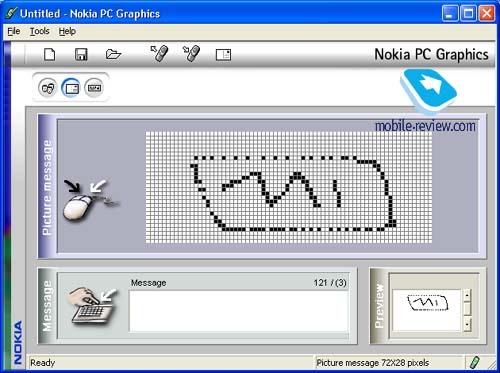 It is presumed that the user can load new images and melodies with a help of Club Nokia, pointing his own links. 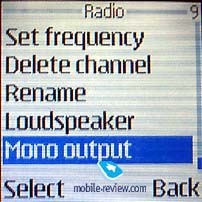 In the review of Nokia 7210 we only briefly said about such features as FM-radio and using of the portable handsfree. If you switch the portable handsfree to the phone, you can listen to the radio. You can also do it via loudspeaker, turning to the handsferee mode. The volume is sufficient to listen to the radio even in the moved car. The handsfree is used as an antenna and if you can't listen to the radio without it. 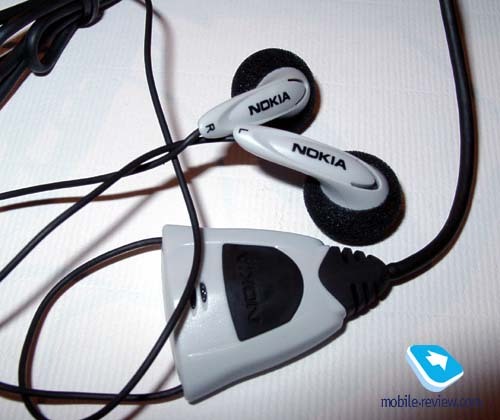 Nokia 7210/6610 are the first models where the radio can be heard via loudspeaker, it is the original decision which stands out these phones among other models. If the radio works in the handsfree mode, the phone will ring while incoming call, the vibrating alert will also work. Press the key of the handsfree to answer, the sound will be in the head-phones. You can also switch to the handsfree mode using the menu navigation. It is possible to save the settings of 20 radio stations (FM broadcast band), which you can set automatically or manually. One can switch from one saved station to another, using the portable handsfree, but it's impossible to adjust volume, the side key of the phone can be used to do it. The phone can work about 4 hours in case of listening to the radio on the maximum volume through loudspeaker, it's rather good result. If you listen to the radio about 2 hours a day (using portable handsfree), the autonomy reduces to 1 or 1.5 days in the standby mode. We are nor going to describe the other features, they have been already described. As we've already mentioned the phone is similar to Nokia 7210 and it has the same capabilities. Of course, the design is different, the three standard colours are of severe style, and it's still a classical line. The other 3 additional covers are also not very bright, which most of the elderly users prefer. 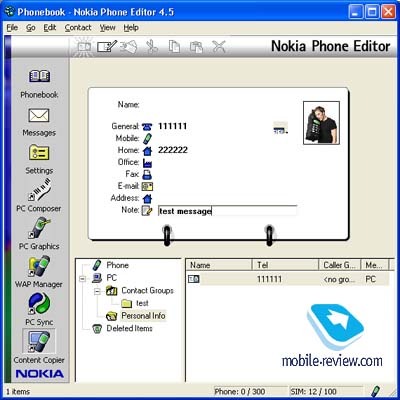 The keypad of Nokia 6610 is very convenient, in spite of that keys are closely spaced. What is more important, the keys are different by touch, what allows to dial the number quicker without looking at the phone. The navigation key, which is under the screen, is easy to press and it's very pleasing. The keypad backlighting is pastel blue, but only the characters of the middle row are highly visible. The left and the right rows have a less bright backlighting and the characters are practically invisible in the average lighting conditions. And at last, several words about the software, which is included in the standard kit - PC Suite 5.0. You can synchronize data with a help of cable (DKU-5) or via IR-port. The capabilities of PC Suite are really great. 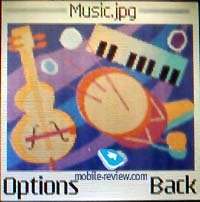 You can create your own melodies, graphical wallpaper, view all the notes of the phonebook and synchronize all the data. You can also view all the wap-resources via PC and use the phone as a modem. An interesting feature is an automatic synchronization of time with PC. Another words the engineers add all features, which one can wish to the PC Suite. I'd also would like to notice that in spite of the colour screen 6610 as well as 7210 works rather long. In case of active using the phone worked about 4-6 days. In the whole, we recommend you to pay attention on Nokia 6610, taking into account that this model is an analogue of Nokia 7210 and it would be launched almost at the same time as Nokia 7210. There are no reasons to buy Nokia 7210 except the funky colours and the original design. 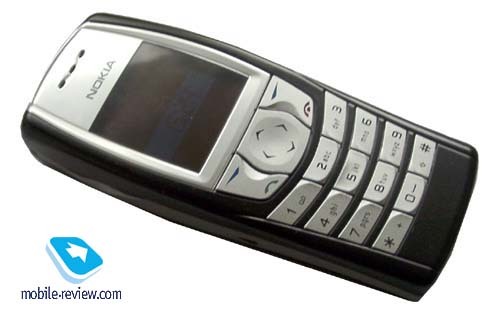 Nokia 6610 is a very pleasing phone with a convenient keypad and many other features. Namely Nokia 7210 would be the first rival of Nokia 6610, when it would be launched, and the phones of the other phones would play the second fiddle.